White House introduced a merit-based integrated system that will determine which foreigners are capable to become a legal resident in the Unites States. President Donald Trump formally announced his support together with 2 Republican senators Tom Cotton of Arkansas and David Perdue of Georgia who are also the authors of Reforming American Immigration for Strong Employment (RAISE) Act. 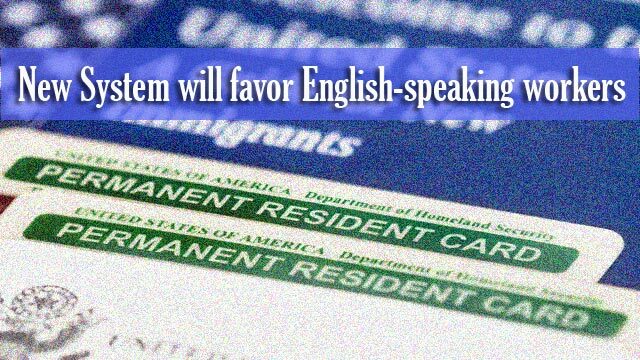 The legislation will be the biggest change at America’s immigration policy in 50 years and the new system will favor English-speaking workers but might discourage those who are low skilled. The decision was made the day after Trump showed his support to a law that will limit the number of immigrants in the US. Jason Miller, who is the president’s senior adviser, told the media that the administration plan to cut down extended family ties. He also added that this is similar to countries like Australia and Canada. Trump mentioned on his State of the Union early this year about the points–based system that will rank applicants base on their education, family ties and work experience. The US President had a major campaign towards the merit-based immigration that will protect US workers, company, taxpayers and will prioritized American citizens overall, it is a pro US immigration reform that Americans want.Before it will implement, the House of Representatives and the Senate need to sign the bill. However, the opposition thinks that RAISE Act is an anti-immigrant bill. Democratic Leader Nancy Pelosi said that the migrants are the perpetual resurgence of their country and each of the newcomers makes America more American. She also added that Trump is known for being hurtful, and senseless towards foreign settlers. The Democratic Party stated that the bill would limit green cards for those who want to reunite with their families who are US based.